Back in January 2011 I received a very large, advance illustration of the ERB stamp and a request to serve as a consultant to the USPS. This I gladly did since the release of this special stamp is of great interest to all ERB fans. I helped with the text, but provided a rather scathing one-page critique of the artwork, suggesting artwork more in line with the master ERB artists from the past and present. USPS decided, however, to go with what they had already commissioned. Actually, in small image it looks a bit more acceptable. 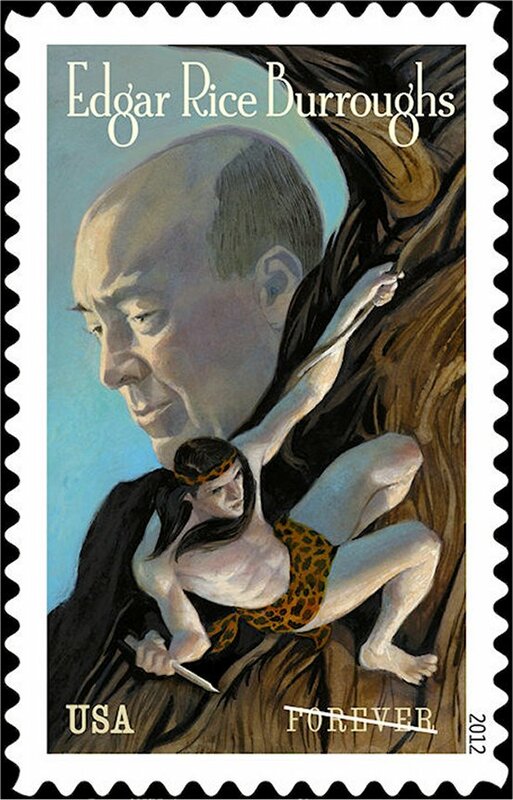 In any case, the release of this special 2012 stamp recognizing the Master of Fantasy Adventure and the Grandfather of SF is of special significance during the ERB Centennial Year . . . USPS should be commended.  I hope the ERB community will make some noise and show appreciation . . . and line up to buy those stamps next year. 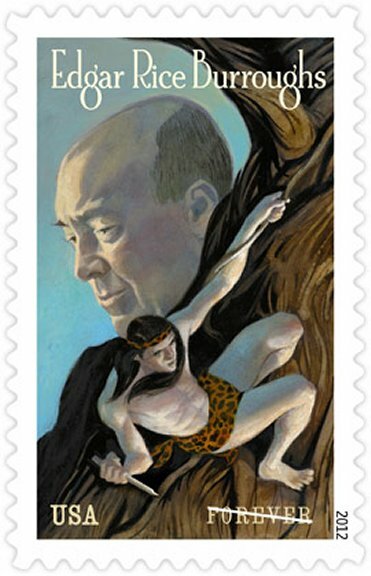 The Edgar Rice Burroughs Commemorative Stamp. The image before and after consultant's suggestions. On first look I am not impressed with the artwork on the stamp. NC Wyeth, J. Allen St. John, Harold Foster, Burne Hogarth, Russ Manning, Roy Krenkel, Frank Frazetta, et al.
. . . so there are very big shoes to fill. Some consider the best of the current lot to be Thomas Yeates, who has just completed a graphic novel of ERB's second story - the medieval English historical novel, "The Outlaw of Torn." LAYOUT: OK. . . BUT. . .
. . . almost as if moulded from modelling clay.
. . . overly-long left arm. I tend to think that the artist used the Disney animated film "caricature" as his model. He reminds me of an aging drag queen with too many failed facelifts and plastic surgery gone wrong - botched eye and nose job, etc. The "bronze lord of the jungle" is now lily white all over. Hair may be OK for effect . . .Tarzan kept it long, but made a point of chopping it off occasionally for practical reasons, just as he scraped off his beard with his father's hunting knife so that he would more closely resemble the "man things" he saw in the picture books in his father's cabin. . . so as to set him apart from the beasts who had raised him. ERB fans and scholars can be a critical lot and most of them have collected and enjoyed ERB-related art for most of their lives. The knife used by Tarzan was his father's hunting knife. The one depicted looks more like a short dagger. . . at least from the angle of view. : Tarzan was right handed but a bit ham-fisted. Tarzan wore loin cloths from a variety of skins throughout the books. Tarzan seldom if ever wore a headband. This came from the movies, mainly with the purpose of holding the actors' fright wig in place. Just don't put booties on him as has been done in an early film and a more recent TV series. Tarzan's eyes were steel grey . . . as were those of all of ERB's heroes.
. . . and toughened and scarred by many battles and survival against harsh natural elements.
. . . hint of a smile was lost, no warmth, strange eyes, etc. The rugged "man's man" appears to be on the verge of tears.
. . . or even issuing a series of stamps? I hope I haven't been too negative in my observations, really only a truthful "one-man's-opinion". Of course everyone will have his own image of how Tarzan should look - since he has been depicted in so many ways in book illustrations, pulps, comics, film, TV, commercials, animations, etc. I, and millions, are very excited about this special tribute to the Master of Fantasy Adventure and the Grandfather of American Science Fiction. Image before and after consultant's suggestions. a 4-stamp block celebrating the genius of the Burroughs family.